The struggle we’re dealing with these days, which, I think, is part of what the 1960s represented, is how do we define our humanity? Three power forces operate in Detroit: capitalist, mainly the resurgent auto industry and investment capital; grass-roots activism as exemplified by the Boggs Center to Nurture Community Leadership; and an intermediate population that I’ve heard derisively termed the New Hipsters (aka, millennials, social entrepreneurs, bourgeois Bohemians, Bobo’s), people, mostly young, who have money but sometimes pretend they don’t. They might also be termed the Gentrifiers. 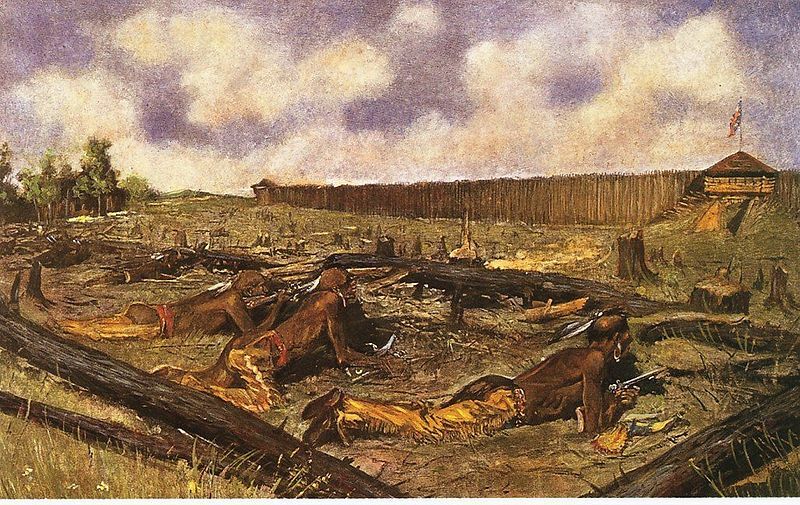 This third force comprises elements of the other two—moneyed, perhaps from employment in the corporations, largely apathetic (with numerous exceptions), and with sympathies, maybe tenuous, with the grass-roots. 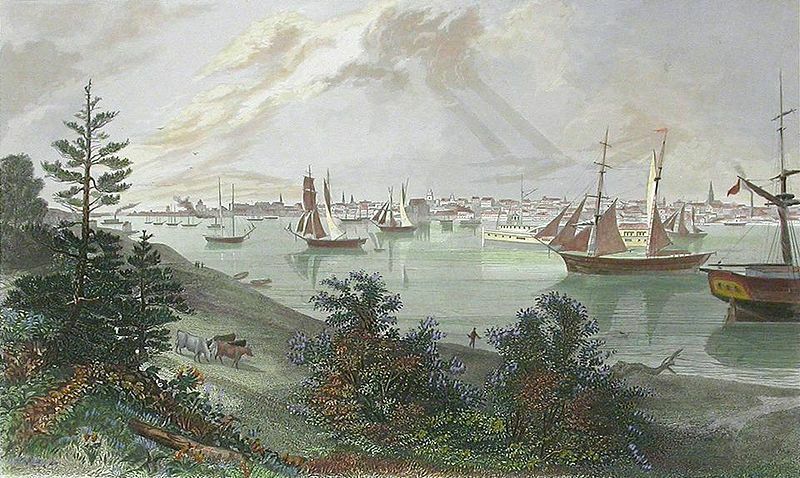 We must remember that the first two forces date back to nearly the beginning of 20th century Detroit, the city long a crossroads because of the Detroit River which connects Lakes Huron and Erie, later the international hub of the auto industry. Corporate power vs. worker power. 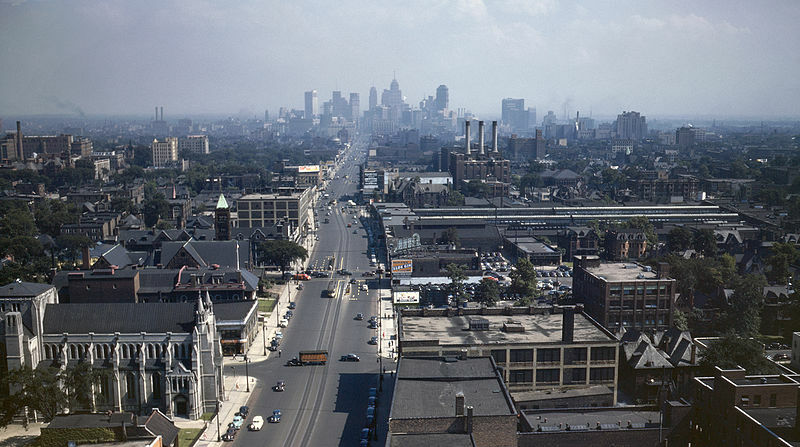 Some of the first successful auto union actions were in Detroit. Did a third force operate then, similar to the New Hipsters or Gentrifiers? Many realize Detroit suffers: one-third of the area is vacant; the population has shrunk to some 700,000 from a peak of 1.8 million in the 1950s, with a consequent severe decline in tax revenues; Detroit is the most dangerous city in the United States based on violent crime statistics; city services like street lights, street maintenance, bus service, garbage pickup, parks, schools, and police and fire protection generally is dismal. (On my last trip there in September 2013, I feared bicycling at night, despite the wide streets and scant traffic—very few streetlights, long stretches of the equivalent of bumpy country lane.) Most importantly, the emergency financial manager, appointed by the right-wing Republican state government, under a recently passed controversial law, has filed for bankruptcy. 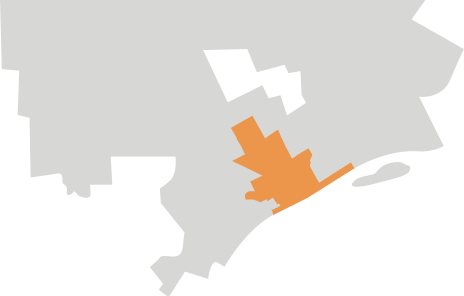 This would be largest metropolitan bankruptcy in US history. 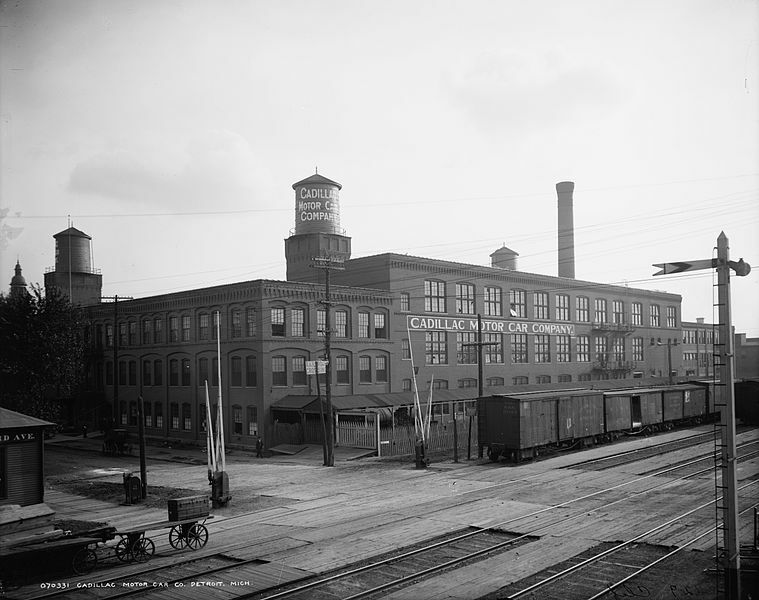 Cadillac main assembly plant at 450 Amsterdam Street and Cass Avenue, 1910 ca. 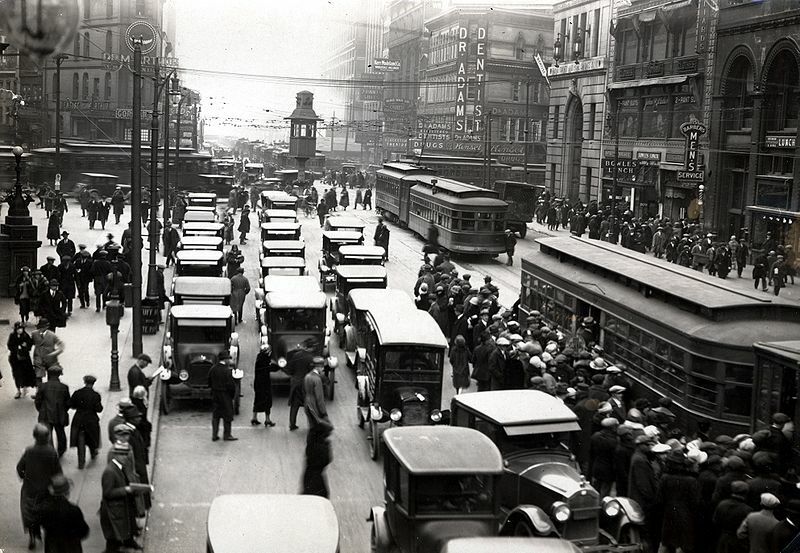 Michigan and Griswold, 1920 ca. 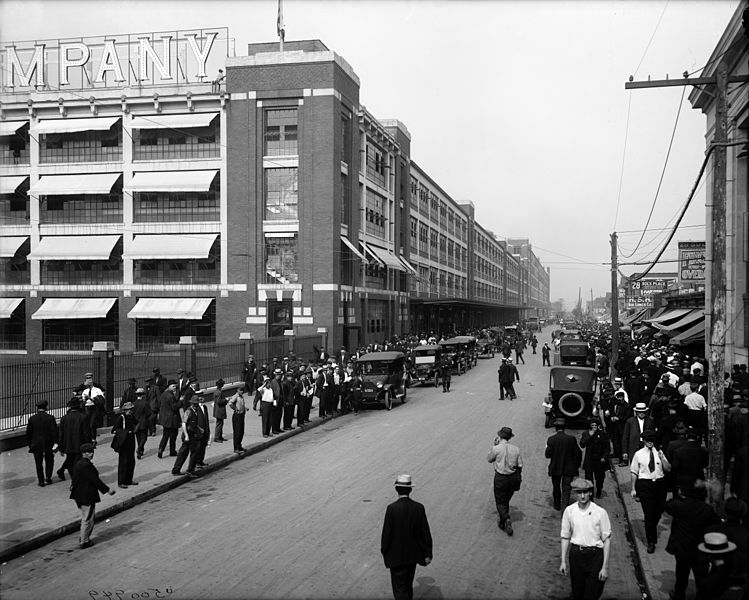 The city lost 40% of its manufacturing jobs in the 1960s; the unemployment rate for Detroit proper peaked at 24.9% in 2009 (now down to 16.3%), compared with the national average of 7.5%; Detroit and Las Vegas are among the emptiest cities; in 2010 the Motor City experienced vacancy rates of 20% for rentals, 4% for homes, and 30% for commercial properties, compared with the national average of 2.7% home vacancy for last 3 months of 2010 and 9.4% for rentals (downtown vacancy rates have dramatically risen, with corporations moving to this central location); personal wealth has moved to the suburbs, among the most affluent in the country; and Detroit is more than 80% African-American. To put Detroit into more context, half of all jobs lost in the entire United States over the past decade were lost in Michigan. 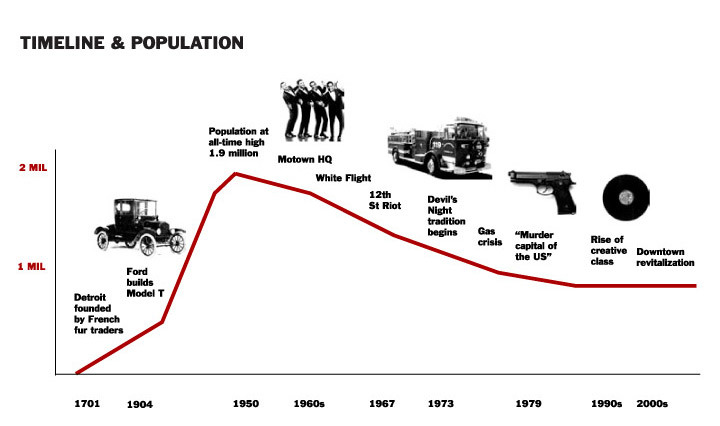 Moreover, relatively few (compared with the large number noticing Detroit’s economic decline) have remarked on perhaps a more ominous fact—the attack on democracy because of the emergency manager law. Curiously, candidates competed to become the next mayor while I was there. When I asked friends and other residents what’s the point of a mayoral campaign when the city is under complete control of the emergency manager, most shook their heads, unsure why there is an election. A few explained that the next mayor can influence daily decisions and the emergency manager’s 18-month term ends in September 2014, but the budget is completely controlled by the manager. 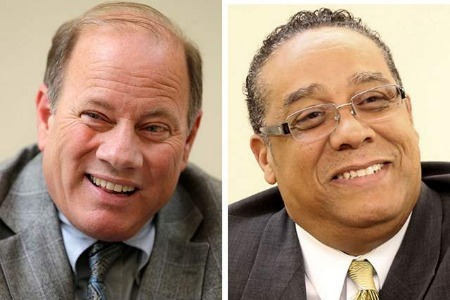 For the record, Mike Duggan, who as the CEO of the Detroit Medical Center, the city’s largest employer, is credited with turning around its finances, was elected mayor in early November 2013, the first white mayor since 1974. 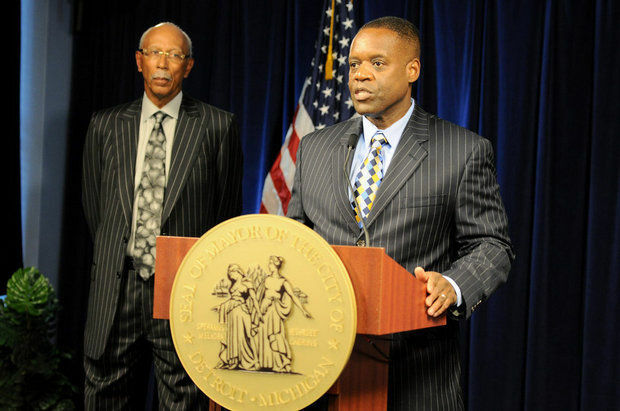 Duggan beat Wayne County Sheriff Benny Napoleon who is black. 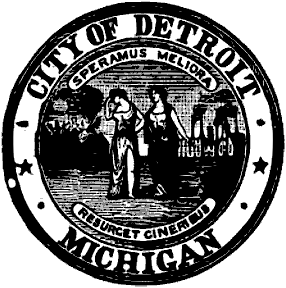 From Wikipedia: The emergency management system and emergency financial manager (EFM) position was first created in Public Act 101 of 1988 only for the emergency in Hamtramck. Public Act 101 was amended by Public Act 72 of 1990 allowing an Emergency Financial Manager to be appointed for any local governmental unit. PA 72 in turn was replaced by Public Act 4 of 2011, which renamed the position to Emergency Manager (EM) and gave the Manager additional authority. 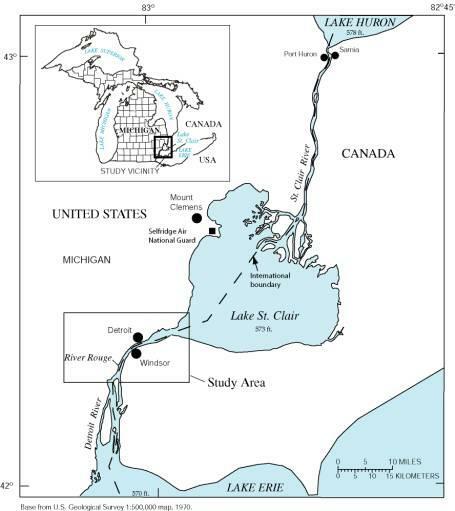 Eight other Michigan cities have been under the control of the act, most since 2010 and under the current governor Rick Snyder. An earlier form of the law was contested in the Michigan Supreme Court, and resulted in a revision, now the current law. Contrasting with this dire picture, few seem to realize the influx of young people, artists, entrepreneurs, and urban agriculturalists among them, some or many in the realm of the so-called New Hipster. Much activity is centered in the cultural/midtown district, the base of Wayne State University. 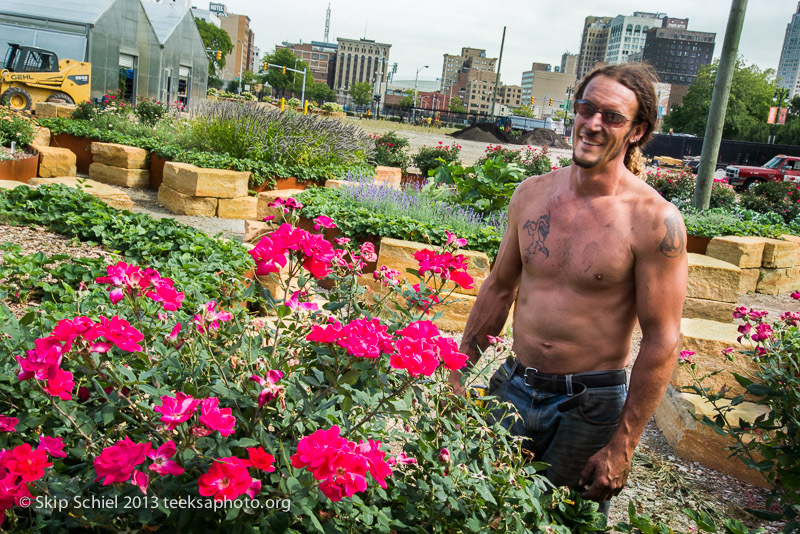 Detroit has become the center of urban agriculture, cleverly utilizing vacant lots, increasing food security, and fostering neighborhood peace center. On the Amtrak bus between Detroit and Toledo where I was to catch a train home to Boston, I met a young white woman who lives in a cooperative house in the heart of Detroit. With 2 PhD’s, one in social work, the other in political science, she is fluent in Creole and regularly works in Haiti. 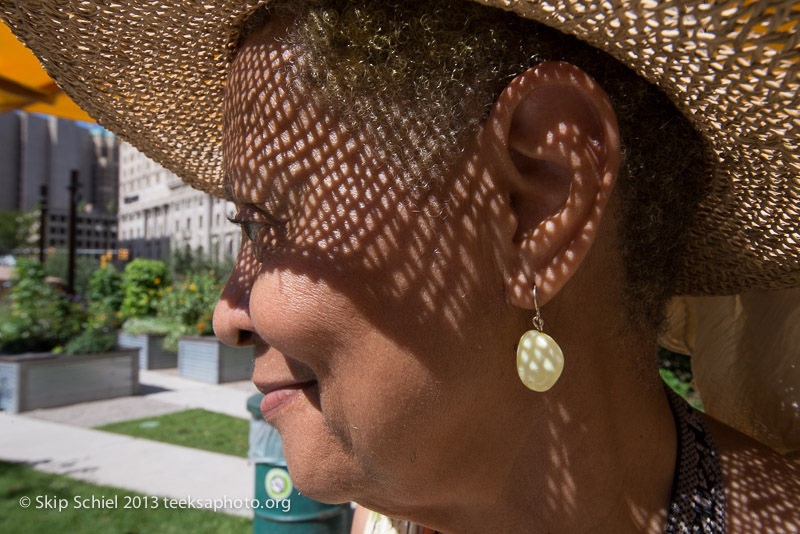 She teaches at a college in Ann Arbor, commuting between home and employment. Most importantly she lives in Detroit, with a group, in a black neighborhood, in a house they’ve renovated that was long owned by a prominent Detroit black family, the Nixon’s. 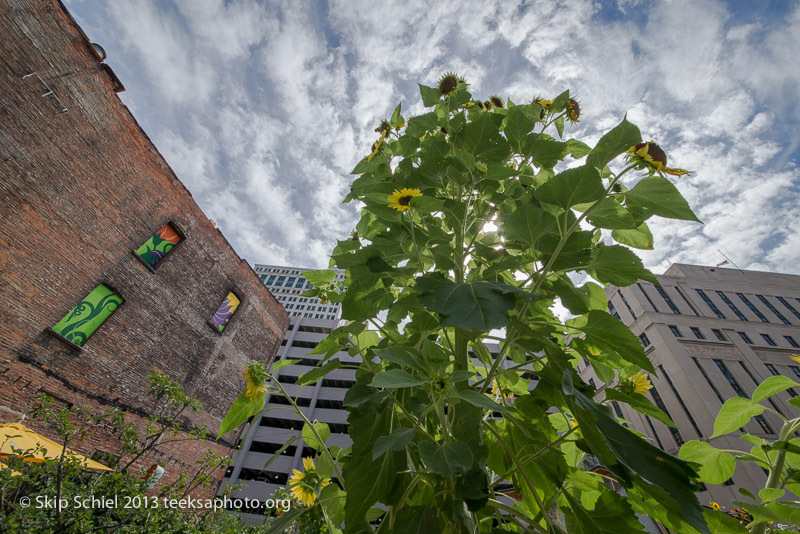 The organization Greening of Detroit oversees the development of the MGMGrand market garden on Plum Street near downtown Detroit. 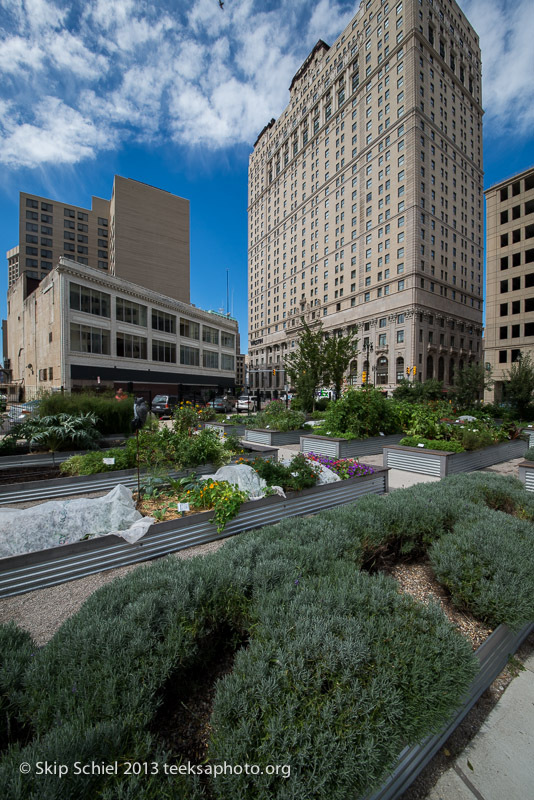 Built on the former site of the historic Lafayette Building, Lafayette Greens is a nearly 3/4 acre garden space in Detroit’s downtown district. Organized by Compuware. Numerous visionaries float proposals to encourage urban agriculture, the arts, education, rescuing homes, and renovating neighborhoods such as the Urban Innovation Exchange, “an initiative to showcase and advance Detroit’s growing social innovation movement. Like city-centers globally, downtowns are owned by everyone—welcoming residents, employees, visitors, and tourists. 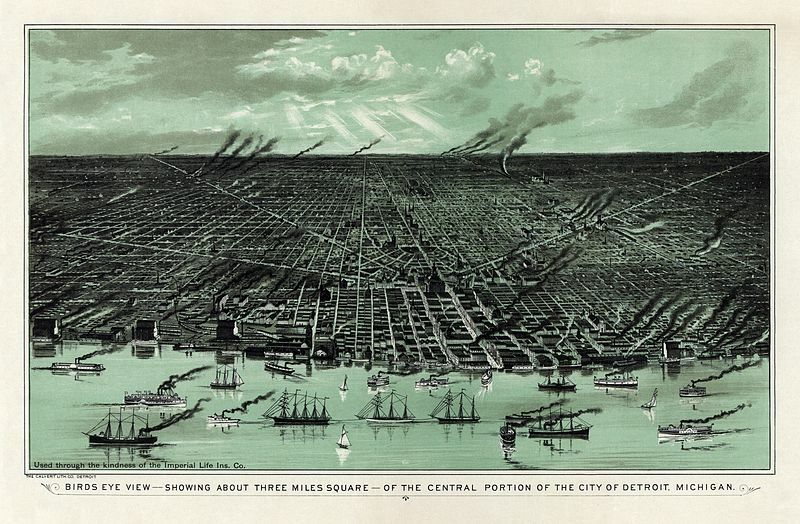 Greater Downtown contains high-rise and low-rise living, our richest cultural assets, the center of Detroit’s business world, the region’s sports and entertainment hub, some of the city’s most storied neighborhoods, and some of Southeast Michigan’s leading educational and medical institutions. 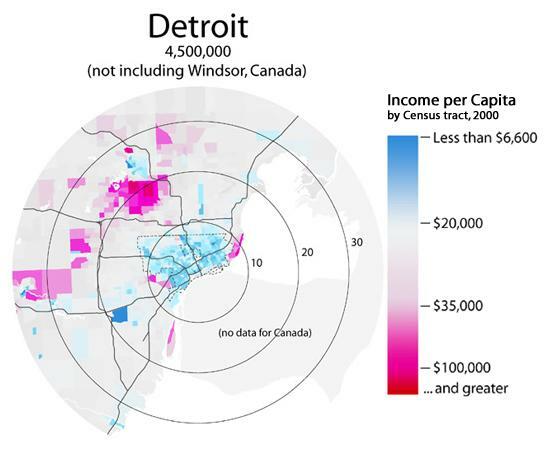 It is the crucible for the interplay of Detroit’s 3 major power forces: big money or capital, grass roots activism, and that curious middle ground, the New Hipsters. Images from a trip up Detroit’s infamous River Rouge, one of the most heavily industrialized rivers in the world, with writerJoel Thurtell and filmmaker Florent Tillon.